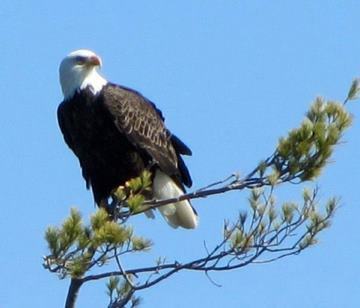 New Listing, Hornets Nest Point, is a Bald Eagle's Vantage Point to Watch Ice-Out on Winnipesaukee. 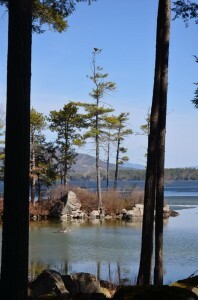 The bald eagle in the photograph has a remarkable eye for real estate, having picked Hornet's Nest Point as his favored vantage point on the day before March 23, 2012, the earliest ice-out on Lake Winnipesaukee. The open branched, high trees and the proximity to water on both sides of the point quite clearly were irresistible to this bald eagle. He spent the morning, after his fishing expedition, watching the ice leave the enormous expanse of Winnipesaukee by this 102 Veasey Shore estate property. These late March days of historic interest couldn't have been seen from a more dramatic setting. The peninsula at Hornet's Nest Point is distinctive; there is vast open water on one side of the point. The other side of the point has a protected, sugar sand bottom cove. You don't need an eagle's eyesite to spot any fish that might be swimming in the crystal clear sandy water. 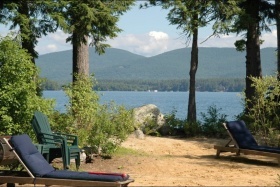 Once the warmer days are back for the season, you can sit on the sandy beach and enjoy the breeze from Winnipesaukee surrounding you on three sides. As the long southerly lake view stretches in front of you, ice-out, historic or not, will be just a distant memory. 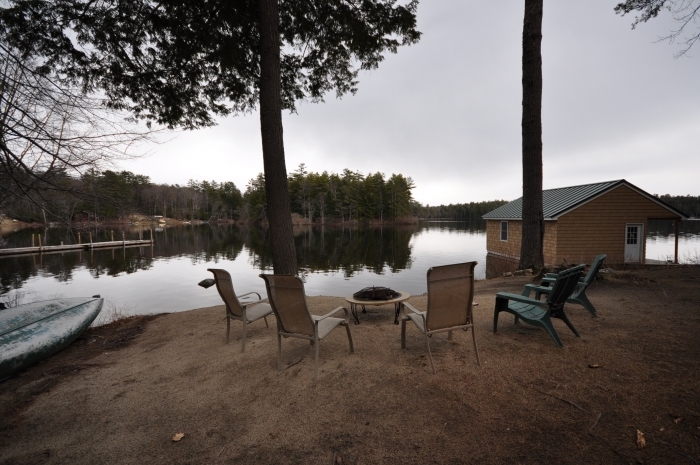 Sited on 1.4 acres of land in the desirable Hermit Cove area of Winnipesaukee, this lovely lot has a large sandy beach and is bordered on one side by a large brook that runs for much of the year. The brook and flows into Winnipesaukee and is filled with fish for part of the Spring season. The 140 feet of Winnipesaukee waterfront offers privacy and, aside from the large sandy beach, features a new 1 bay boathouse with room for a boat with a large beam, and a dock for sunning and enjoying your lake views or docking an additional boat. Ideal Location for Swimming, Kayaking. Near Biking and Walking Trails. Swimming and kayaking are ideal activities for this protected location. While this large cove is protected by an island... the center of the Winnipesaukee is just beyond this tranquil spot. Biking and running trails are nearby on Moultonborough Neck Road, which intersects with Fuhr Drive, where this property is located. Jo Jo's Country Store is within 1 1/2 miles for shopping convenience. Recently and tastefully renovated,he entry level interior of this Moultonborough home for sale has wainscoting, a fireplace in the living room, and an open concept living room/dining area. The living room has sliding glass doors that open to a large deck. Living room, 3 bedrooms, 1 bath, kitchen, and dining area upstairs. A family room and 3/4 bath, and 2 rooms with additional partially finished space are downstairs. 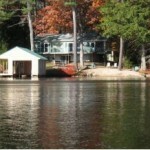 If quality lakefront, a and privacy are what you seek, please contact me to view my 11 Fuhr Drive listing. You can't capture the feeling of this lot with words or photos. It has to be experienced first hand. 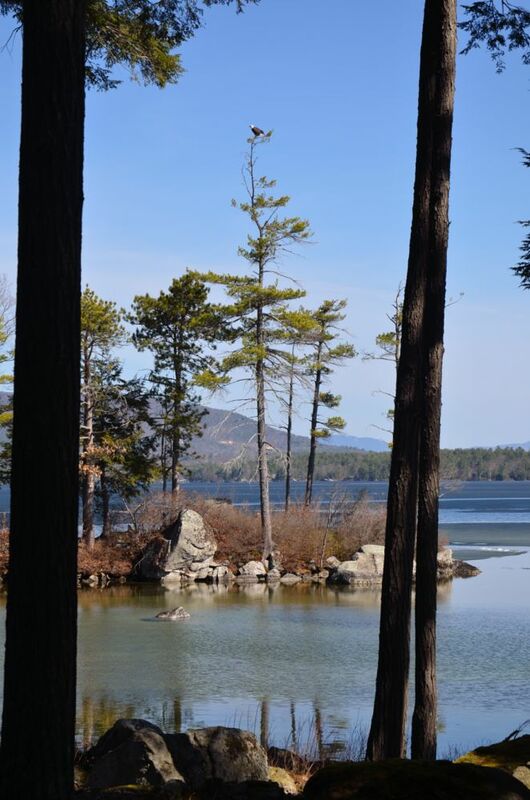 One of the Best Lots Available on Winnipesaukee if Spectacular Views are What you Seek. Meredith NH - Recently reduced by $300,000, this open concept home is sited on one of the most magnificent lots ever developed. This open concept design by one of Lake Winnipesaukee's most prolific builders is perfect for relaxed, luxury lake living. Stunning, long lake and mountain views from every room take your breath away no matter how many times you have seen them.MLS # 2817207, 46 Veasey Shore Road offers views that appear close yet expansive. You feel as if you are in a boat in the middle of Winnipesaukee's widest point. 46 Veasey Shore on Lake Winnipesaukee has meandering, curving waterfront and big lake views in all directions. 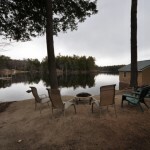 The two plus acre lot directly on the lake offers privacy, tall pines, and a bunk house at water's edge. Built by one of Winnipesaukee's most prolific builders, you have to experience this wonderful property found on Veasey Shore Road to understand its singular majesty. The expansive palladium windows of this new construction frame these Masterpiece views for the complete dramatic effect. From the moment you walk in the house, you see views across "the broads" framed by the enormous palladium windows. 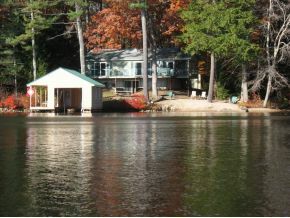 Built a NH builder who has been building ideal vacation lake homes for decades. Nearly 180 degree views, full length glass corner windows, entire wall fireplace in great room, four season sun porch/dining room, master suite with corner glass windows, dramatic tile shower, jacuzzi tub, and cedar closet. Additional space above the 3 car garage can be finished to suit a buyer's needs. With 250 ft. of very, very private, prime Winnipesaukee waterfront and 2.68 acres in one of Lake Winnipesaukee's finest neighborhoods, a waterfront property with such distinctive beauty comes along only once in a great while. Completion date Spring 2012. Call now to customize flooring and appliances. Call Nicole Watkins, Exclusive Listing Agent for house plans, brochures or further details. 603.707.7575. 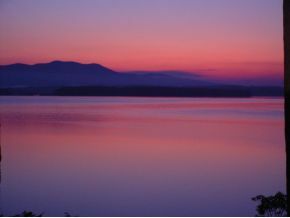 Sunrise View at Winnipesaukee Veasey Shore Listing.